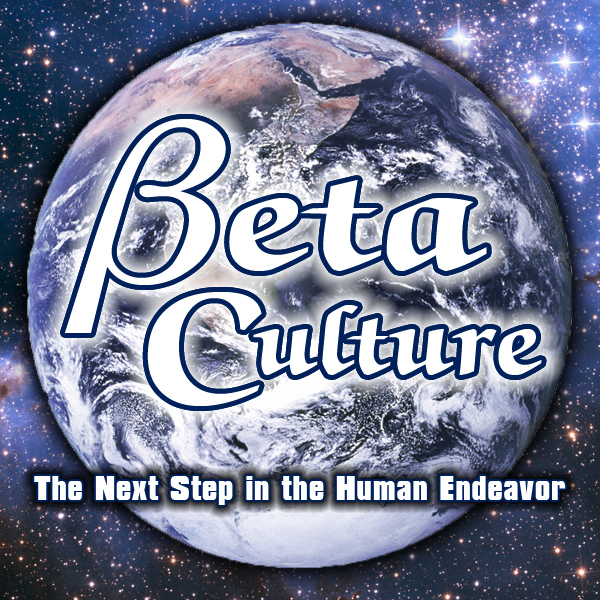 How about some random thoughts on what I have in mind for Beta Culture? Understand that I don’t in any sense think the thing will “belong” to me, or that I should have the sole power to shape it. But in this early stage in which I’m fleshing out what *I* mean by the basic concept, I want to lay out some of what I imagine it SHOULD include. Picture these two groups of people and see if you can guess the rule that groups each together into common classes. A: Amish. Hutterites. Hasidic Jews. Jehovah’s Witnesses. Atheists. B: Catholics. Scientologists. Southern Baptists. Mormons. Ku Klux Klan. Thinking about some of the things Beta Culture will entail, I know education has to be an early and definite part of it. I’ll tell you where I think that comes from. It comes from fear of being wrong. Of telling kids wrong things. Even most full-on atheists will back away from telling young people explicitly that there are no such things as gods. But we should be including that statement in every course that deals with real-world matters. It should be stated on Day One of every class. That statement right there leaves open the door to a HUGE wash of nonsense. What we’re faced with is our own striving for perfection being used against us. We don’t want to say no gods exist because we’re not sure we can justify the statement … by OUR standards. We don’t want to slide down the slippery slope and get to where we’re as sloppy and false as the people on the goddy side of the claim. But meanwhile, we act as if the question is wide open. We leave kids with the impression that we’re not SURE whether or not a supernatural superbeing exists. That it may exist. Of course we’re sure. Every confident realist is totally comfortable with the idea that nothing of the sort – nothing that’s ever been described by humans, anyway – is even possible. After all, do we think there’s a giant man with a white beard sitting on a 50-ton throne of gold somewhere in the sky? No. Do we think there’s an actual red-skinned Devil, all horns and pitchfork and evil laugh, capering around underneath us in caverns of fire? No. Do we think two naked people, a man and a woman, lived in a luxurious garden 6,000 years ago and spent their time having conversations with a snake? And they were the only two people alive, the first two people to ever exist on Earth? Hell, no we don’t. Just as we KNOW there are no magic beans that will grow a stalk up into the sky and open onto the cloud-foundation of a giant’s castle, we know all of these religious fantasies are absolutely false. We’re just afraid to say so, directly and emphatically, because we think it goes against our basic principles of absolutely accurate judgments of reality. But look, there’s this line we’re asked to take sides on. … But that also leaves the door open, as any rational person would, for the believers to offer more evidence. We really can say there are no gods. We can say it out loud, we can say it in public, we can say it confidently, without waffling or qualifying. No God. No gods. Not now, not ever, not anywhere. Period. The question is closed. What we face is a double standard. And we let it be used against us. The double standard is that the one side can make any claim at all, with no evidence, like a teenaged writer making up elves or dragons to populate a second-rate fantasy. But that WE, the rational side, are then expected to operate by ten-decimal-place certainty before we turn down the possibility. Get it? There’s this fluffy, indeterminate, marshmallow domain of fantastic supernatural claims, and there’s this diamond-hard domain of physics and decimals. An argument advanced in the marshmallow domain does not require an answer in the domain of diamonds. They can’t expect us to hold off on deciding until THEY produce more evidence. On the other hand, we CAN expect them to deliver more evidence before we spend one more second on the thing. If they want to argue it with us, let THEM cross over into the domain of diamonds, and produce some diamond-hard, diamond-durable evidence. And that’s what we teach kids. We don’t hold off, giving them “both sides” and then “letting them decide.” We teach it to them the same way we teach math, or physics. We teach them the facts. We teach them to CARE about facts and to laugh at silly fantasies. And we teach them starting in kindergarten. Anything less and we become accomplices to the spreading of the lie. And damn, NOW is the time we stopped doing that. As I see it, Beta Culture would call on all educators everywhere to begin simply telling kids the bald facts. No sugar-coating, no waffling. Subtitled: Hey, Where’s the Blue Collar Atheist, and What’s This Citizen of Earth Crap? I’ve heard you say it. Hey, I thought it myself, a couple of times in the past. But what I DID was, I stayed and, in my own small way, fought. Because if you believe in something, you don’t just leave off believing in it because you lose a round of two of the game where that something is in play. No, you fight. You fight hard and long and strong and smart. Until you win.